Extras, Commercial Faces and Actors Wanted! 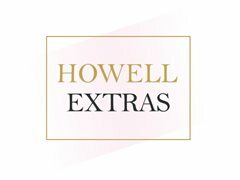 Howell Management & Extras are a talent agency who are opening their books for new Extras and commercial talent! We are on the search for talent of all nationalities, sizes, ages and looks. Apply now to be represented by a well-respected and experienced team who are ready and willing to help you find the best Extras and TV commercial work in the industry. No experience required. There are no upfront agency fees however you are required to get the right online profile systems that make it possible to submit you to the casting directors. Please note: It is very important that only talent who are NOT represented by an extras agency apply. We will be unable to consider talent who are already signed to an extras agency. Looking for a Qualified Beautician with Lots of Personality! Actor/Actress Needed to Play Sibling in Surreal Comedy "Blood"